Russell Brower is Director of Audio and Video at Blizzard Entertainment. He's composing and collaborating on the soundtrack of Diablo III, including all the music heard in game. Russell works on other games at Blizzard as well, and has written a large amount of the music heard in World of Warcraft, and is deeply involved in the production of StarCraft II as well. In addition to this, he also created tracks for the animated television show Animaniacs, and also for Batman: The Animated Series. "With the success of a “sound de-centralization” initiative, my current position of overall Sr. Audio Director/Composer is no longer relevant and is being eliminated. I will continue to contribute to Blizzard’s projects as a freelance composer. Mr. Brower had such a heavy influence on the development team for World of WarCraft: Cataclysm that the developers decided to include an NPC in the game in his image. 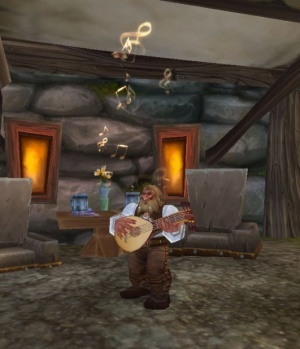 In addition to the NPC, he also gives a quest to players called Words and Music by..., which involves the player helping him to write a song. Russell was interviewed at Blizzcon 2008, and had a lot to say about his craft, with a few comments specifically on Diablo III. OSV: The “Diablo III Overture” was recently posted on iTunes. Congratulations on the amazing piece of music. It was awesome that it was released as a promotional tool for the game. I was hoping you could tell us about the piece and let us know if it will make its way into the game, or will it only be a promotional piece? Brower: Well, it’s too early to say if it will make it into the game exactly as it is. It was designed to say, “Tah-dah, look what’s coming. Diablo is back and we have something to say.” That’s why it’s so big. While the familiar chord changes are there and the ascending line and everything, they’re all done big. They’re not done Tristram style because it was designed to say “This is Diablo III.” But as we get to the game, you’ll see us explore different styles and different sizes of score. More recently, Russell commented at length on the still little-heard music for Diablo III in reply to a question from a fan. Thank you for your thoughtful words. I'm really glad to hear how much you care about the Diablo series and its musical legacy. Maybe it will help in terms of "reassurance" for me to note that my own personal introduction to Blizzard games was in 1997 in the form of playing the first Diablo and being struck by the music... Matt Uelmen had succeeded in creating something original, which is a rare thing these days. The style was daring and completely unexpected, yet it worked so very well. In regards to Diablo III--- all I can say is "you ain't heard nothing yet!" The overture was conceived of as a way of making a big impression on both new and existing audiences-- saying that this really is the next chapter. What's not apparent in the overture, though, is that the first indication the world had of what the new game was at our Paris announcement last Summer was a single guitarist on a 12-string, rolling those classic opening chords-- not a speech, not a video, not a press release-- but the MUSIC. That iconic music! I'm very proud of this moment, as it not only says a lot about how great the D1, D2 & D2X music is, but how important and recognizable game music in general has become. Finally, if you listen to Matt's writing in D2X Lord of Destruction, you'll hear not only most of the thematic material from the overture, but also the "Wagnerian" orchestration-- Clearly, Matt was exploring new areas of musical expression in parallel with where the game's story lead him. I believe that in playing D3 someday, you'll hear homage to the iconic styles in all the right places, along with new music to go with some very exciting story developments and locales. I'm not at liberty to say much more, as I don't wish to provide any spoilers... however, I hope you'll stay tuned as we roll out more information (and music) in the future. 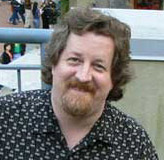 Russell Brower's foray into the world of Sanctuary did not mark his beginning at Blizzard, as mentioned above. He has also done a good amount of work on World of WarCraft and subsequent expansion packs. The following is a list of music that he has done in the past for Blizzard. Clicking the links below will redirect the viewer to a youtube posting of the music in question. Derek Duke as seen on the Diablo III: Collector's Edition, Behind the Scenes DVD. Caverns of Time (non-Dungeon music). Caverns of Time: Escape from Durholde Keep (Dungeon). Karazhan (Raid Dungeon, numerous tracks). Russell Brower is credited on every track for Wrath of the Lich King. Wrath of the Lich King Youtube Playlist. Much like Wrath of the Lich King, Brower played a heavy part in every track for World of WarCraft: Cataclysm. Again, for StarCraft II as in WotLK and the Cataclysm soundtrack, Brower is (perhaps arbitrarily?) credited on every track. Blizzard offers many of the musical tracks in their games for sale on iTunes. Below are external links for each soundtrack. WoW: Wrath of the Lich King. Extensive interview on Diablo III's sound and music. Brower on StarCraft II design. Another interview with an SC2 theme. This page was last edited on 21 July 2017, at 16:21.